Google Home: A Smarter Alternative to Amazon's Alexa-Powered Echo? If you've hesitated about acquiring Amazon's Echo, your reticence may have paid off. 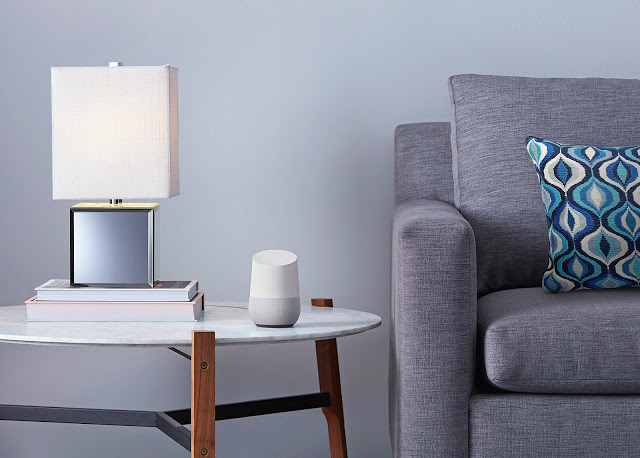 Sometime this fall, Google will release its own voice-activated assistant/Wi-Fi speaker called Google Home, which may be smarter than Amazon's Alexa or even Apple's Siri, with a wider array of compatibilities and capabilities than either. Introduced at Google's I/O Developer's conference earlier today, Google Home is expected to be available in the fall at a price yet to be determined, but it's hard to believe it'll be pricier than the Amazon Echo ($179.99). Google Home will be powered by Google Assistant, a virtual assistant built on natural language and search capabilities the company has pioneered and honed over the last decade-plus. With Google Assistant, Home will understand and be more responsive than Alexa or Siri without you altering the way you speak. Google Assistant will be able to answer conversational questions in context, questions with which both Amazon's Alexa as well as Apple's Siri have trouble, and to link to other wireless speakers as well as compatible smart home devices and TVs. For instance, Google CEO Sundar Pichai asked Home "Who directed The Revenant." When Google Assistant answered "Alejandro Iñárritu," Pichai followed up with "What awards has he won?" Home knew who Pichai was referring to and listed Iñárritu's awards. By contrast, when we asked Alexa the same question, she offered a list of theaters playing The Revenant; Siri answered the question correctly, but had no idea how to answer the contextual awards-won follow-up. Pichai asked another series of questions in a conversational tone with follow-ups, including a plain question about "curry," and Google Assistant knew he was asking about food and not Golden State Warrior star Stephen Curry. Google Assistant also will hook into your Google Calendar to let you know what you've got scheduled, along with weather and traffic to plot your travels. In a video demo, Google Assistant told the protagonist that her flight had been delayed, and then changed her dinner reservation when instructed without skipping a beat. Used with Google Cast, Home can be integrated into wireless music systems and told to play music in specific rooms through additional Homes or compatible speakers. Which specific wireless systems Home will be compatible with (i.e. Sonos) remains to be announced. Google Assistant also can be used to request video content to play of a TV; again, how the compatibility will be achieved was not discussed, but it's likely Google Cast and/or Google's Chromecast media streamer will be involved. Like Siri and Alexa, Google Assistant will be able to voice control compatible smart home devices. Obviously the company's Nest devices were front and center, and Google will likely garner smart home ecosystem device partners as easily as Apple and Amazon have. On the hardware side, Home is smaller and, seemingly, lighter than Echo, shiny white instead of matte black, and will be modular – you'll be able to swap the white speaker base for one of a variety of pastel colors. It'll be able to stream music from popular streaming sources as well as link to your personal collections on Android or Apple iOS devices. To know when you can buy Home, you can sign up for email alerts on the Google Home home page.